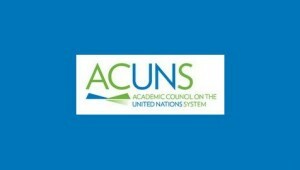 The Academic Council on the United Nations System (ACUNS) is accepting papers, panel proposals and posters for presentation at its 2019 Annual Meeting. The meeting will be held June 19-21, 2019 at Stellenbosch University in Stellenbosch, South Africa. In 2017, UNSG Antonio Guterres and African Union Commission Chairperson Moussa Faki Mahamat signed a Joint UN-AU framework for Enhancing Partnership in Peace and Security. Both leaders, however made clear that peace and security is just one of many fields in which the two organizations intend to cooperate more closely. The relationship between the UN’s Agenda 2030 and the AU’s 2063 was mentioned, as was migration, climate change, terrorism, human rights, good governance and the rule of law. The full call and submission instruction can be found on the website. The submission deadline is February 4, 2019.